Summary The mitochondrial deacetylase SIRT3 regulates several important metabolic processes. SIRT3 is transcriptionally upregulated in multiple tissues during nutrient stresses such as dietary restriction and fasting, but the molecular mechanism of this induction is unclear. We conducted a bioinformatic study to identify transcription factor(s) involved in SIRT3 induction. Our analysis identified an enrichment of binding sites for nuclear respiratory factor 2 (NRF-2), a transcription factor known to play a role in the expression of mitochondrial genes, in the DNA sequences of SIRT3 and genes with closely correlated expression patterns. In vitro, knockdown or overexpression of NRF-2 modulated SIRT3 levels, and the NRF-2α subunit directly bound to the SIRT3 promoter. Our results suggest that NRF-2 is a regulator of SIRT3 expression and may shed light on how SIRT3 is upregulated during nutrient stress. So the question at hand is; "why do our nicotinamide phosphoribosyltransferase (Nampt) levels slowly fall causing our NAD levels to drop?" At some point scientists will focus into the exact problem which everything else seems to cascade from. This article is suggesting upon reaching sexual maturity there is a genetic switch flipped that turns off cellular quality control. The rest is inevitable. "Morimoto and Labbadia found the genetic switch occurs between two major tissues in an organism that determine the future of the species: the germline and the soma (the body tissues of the animal, such as muscle cells and neurons). Once the germline has completed its job and produced eggs and sperm -- necessary for the next generation of animals -- it sends a signal to cell tissues to turn off protective mechanisms, starting the decline of the adult animal." They claim "While the studies were conducted in worms, the findings have implications for humans, the researchers report. The genetic switch and other components identified by the scientists as playing a role in aging are conserved in all animals, including humans, offering targets for future study." Summary: When does aging really begin? Scientists now have a molecular clue. In a study of the roundworm C. elegans, they found that adult cells abruptly begin their downhill slide when an animal reaches reproductive maturity. A genetic switch starts the aging process by turning off cell stress responses that protect the cell by keeping important proteins folded and functional. 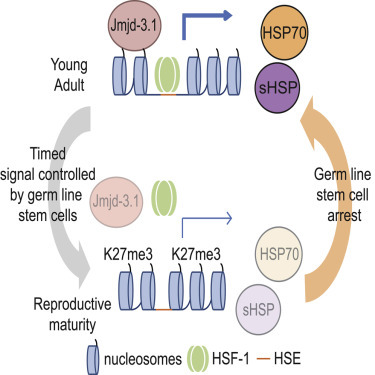 Germline stem cells throw the switch in early adulthood, after the animal starts to reproduce, ensuring its line will live on. I think they may be well on to a target for intervention. Edited by Bryan_S, 25 July 2015 - 09:57 PM. FYI, the second link to sciencedirect.com is the same link as the first link. Nicotinamide phosphoribosyltransferase (NAMPT) is a regulator of the intracellular nicotinamide adenine dinucleotide (NAD) pool. NAD is an essential coenzyme involved in cellular redox reactions and is a substrate for NAD-dependent enzymes. In various metabolic disorders and during ageing, levels of NAD are decreased. Through its NAD-biosynthetic activity, NAMPT influences the activity of NAD-dependent enzymes, thereby regulating cellular metabolism. In addition to its enzymatic function, extracellular NAMPT (eNAMPT) has cytokine-like activity. Abnormal levels of eNAMPT are associated with various metabolic disorders. NAMPT is able to modulate processes involved in the pathogenesis of obesity and related disorders such as nonalcoholic fatty liver disease (NAFLD) and type 2 diabetes mellitus (T2DM) by influencing the oxidative stress response, apoptosis, lipid and glucose metabolism, inflammation and insulin resistance. NAMPT also has a crucial role in cancer cell metabolism, is often overexpressed in tumour tissues and is an experimental target for antitumour therapies. In this Review, we discuss current understanding of the functions of NAMPT and highlight progress made in identifying the physiological role of NAMPT and its relevance in various human diseases and conditions, such as obesity, NAFLD, T2DM, cancer and ageing. Can someone summarize why NR would even theoretically provide health benefits above and beyond niacin supplementation? Doesn't it all just end up in the NAD cycle? Moreso, I suspect that the flush reaction is an indication that niacin has approached the limits of its current utility, so if instead we "chewed on" a niacin supplement in small bits throughout the day, we might actually achieve a higher degree of NAD+ replenishment when averaged over time. So assuming that we maxed out our ability to absorb niacin (without poisoning the liver! ), what then would be the value of NR? Somehow I'm just missing the basics here, notwithstanding the outstanding research contributions in this thread. 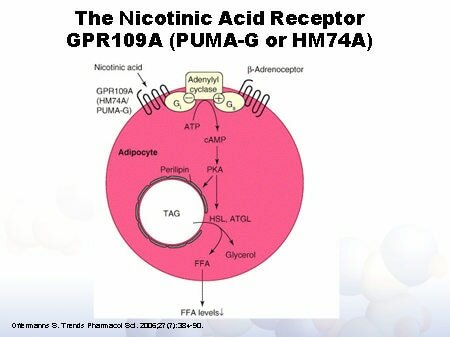 Well, niacin and NR generate NAD through different pathways. Nicotinamide uses essentially the same pathway as NR; both are transformed into NMN, which then has another phosphate nucleotide added to get to NAD. For both NR and Nicotinamide, it is a two-step process to get to NAD. For niacin, it is a three-step process. Which is more efficient? Who knows? It depends on how much of each limiting enzyme is available. In any case, I don't think continuous, day-long supplementation with niacin is a good idea at all. Virtually all the reports of liver damage from niacin come from sustained release formulations of niacin. Even large doses once or twice a day seem to be cleared fairly easily, but continually elevated blood levels of niacin seems to be dangerous. Thanks for the concise explanation. What do you all think? Is there some good reason to believe that niacin and NR would be complementary? Or would we just hit the same roadblock once a given level of NAD+ had been produced? Would it help to coadminister the enzymes mentioned above (how? ), so as to fatten the pipe? I don't disagree that niacinamide seems to be clouded with liver issues. But I don't think it's the time-release aspect; it's just that it overloads the liver with the work required to metabolize it (into niacin?). Logically, taking the same amount of plain vanilla niacin over more time would reduce liver stress. Granted, logic doesn't count for much in biology. I'm sure others might have things to add, but here's my take. Although Niacin and Niacinamide are often lumped together as "Vitamin B3," they seem to be metabolized quite differently. NIacinamide seems to have toxicity issues above certain daily doses. And Niacinamide seldom seems to cause flushing. Niacin itself, on the other hand, seems to be pretty safe at rather high daily doses. But even fairly low doses of niacin on a time-release basis seem to sometimes cause liver damage. No one has demonstrated this, but many Niacin proponents believe that the main cardiovascular and metabolic benefits come from the clearance of niacin from the bloodstream. That is, they think that the flush, the huge pressure on the metabolism in the liver, etc, are the sources of the benefits. In fact, many Niacin fans ramp up their daily dosage to high levels until they lose the flush, and then cold-turkey for a few days until they get the flush back. In an analogy to this way of thinking, taking some time each day for some strenuous exercise is beneficial, but exercising at low levels round the clock just wears you out. So, lots of Niacin once a day = Good. Small amounts of Niacin 'round the clock = Bad. There is a vast amount of anecdotal info on this from Hoffer and many people since, but mechanistically (if true), we don't understand what is really going on. More important, in the present discussion, we don't really know how this relates to NAD! The cardio and related benefits may not be related to the NAD benefits. They might point in the same direction. They might be in conflict with one another. My conviction is that I would never try to keep high ongoing levels of Niacin in my bloodstream. This presents a high risk of serious liver damage--while high acute dosages of Niacin seem to be relatively safe. As to Niacinamide or NR, we don't really know much about timing. They, too, might work much like Niacin. Or not! At this point, I wouldn't try and keep high levels of Niacin, Niacinamide, or even NR in my bloodstream; there no demonstrated benefits, and, if Niacin tells us anything, certain risks. This isn't confined to B3-related vitamins; there are suggestions that high ongoing levels of antioxidants in the blood tend to suppress the body's normal production of antioxidants. Medical science tends to assume that that if something is beneficial, then a continuous high blood level is beneficial. This in itself is questionable, but almost never tested. My intuitive guess is the opposite of most of medical "theory." I believe that the body thrives on extremes rather than some optimum steady state. I sit in the hot tub, and then jump into a cold pool. I do strenuous exercise, and then rest. Sometimes I fast; I certainly never try to eat 1/24th of my daily calories each hour. And, when I take supplements, I don't take "time-release" versions. And I never take supplements every day. Or exercise every day. Or don't exercise every day. As to the idea of consuming the rate-limiting enzymes, I seriously doubt that most can get through the digestive process and into the locations where they are needed. Nonetheless, some of them--NAMPT has been the most studied, as far as I know--increase in response to things like exercise, fasting, and possibly in response to intake of other nutrients (including phytochemicals like resveratrol et al). So I'd guess that the best approach is to try and do/ingest things that are likely to ramp up the concentration of those enzymes. We're doing this in ignorance, but I'd guess that high-intensity exercise, and either caloric restriction (not my first choice) or short-term fasting (where I tend to go) would be more to the point. I wonder if those "time-release niacin" studies were really "niacinamide acting as time-release niacin" studies. Nevertheless you make a compelling argument, and it just sounds like we don't have enough data (and never will, on account of the financial disincentive). So if we extend your thesis to NR, should we be taking the whole day's dose all at once, perhaps with breakfast? Should it be NR in the morning and niacin in the evening, or together? Does anyone have personal experience comparing such schemes? A few thoughts. I started looking into this yesterday but as I started writing this you guys presented me with something of a moving target and got ahead of me. I see a few unsupported assumptions which I think have been pointed out. As you'll see on this thread a lot of our audience wants to see from what studies our ideas or assumptions arise from. So as I answer this I'll try and look up the key points so others can verify them. In your question and the later answers to follow we begin talking about 3 NAD precursors Niacin, Niacinamide and Nicotinamide Riboside. With Niacin and Niacinamide there has already been some 77 plus years of research and they are fairly well understood. Although Nicotinamide Riboside has been recognized for a few years, it wasn't until the Human Genome project sufficiently decoded enough information to begin to unravel all the supporting enzymes and the subsequent expression of supporting DNA controlled by the epigenome on a tissue by tissue basis. Today we can map which tissues of the body are active transporters of these precursors but it should be realized not all tissues are equally equipped with the appropriate enzymes to metabolize all the aforementioned precursors equally. Much of this material can be referenced in the Expression Atlas. What we begin to see emerging is each NAD precursor is supported by a different enzyme, some precursors like (NR) and (NA) even have multiple enzyme paths for assimilation. With the Expression Atlas we can also rate the expression or effectiveness of each supporting enzyme on a tissue by tissue basis. To this end I've included 2 Tissue Expression links for each so you can see what tissues are equipped to handle each enzyme and those which are not or show low ecpression. As I've mentioned in past posts not all tissues can process each of these NAD precursors equally. So as you push for the answer; "why NR would even theoretically provide health benefits above and beyond niacin supplementation?" You have to ask how each precursor gets assimilated and look into the side benefits of each. Also an overlooked step is the precursors transport across the cell membrane before the above enzymes can begin the conversion process eventually arriving at NAD. Then we have a second side to (Na) to consider. 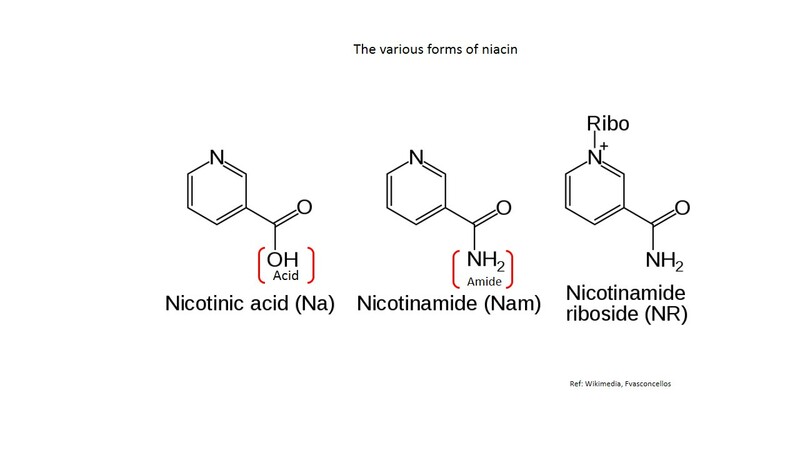 The Flush seems to be incidental to niacin’s conversion to NAD and it is a separate issue to its absorption and metabolism. The lipid modifying action seems to be tied to a incidental effect with the GPR109A receptor. Niacin as you guys mention taxes the liver and it is entirely possible to overload this path. As I've read taking the time released version is fraught with more problems than the unmodified form. As a general recommendation its best to have a liver panel performed if you're taking pharmacological doses. I mention this because some on this forum are predisposed to taking large doses (if a little is good a lot is better) no not really. These pharmacological levels are generally considered to be doses of (1.5 – 6 g per day). Keep in mind however that individual health circumstances can affect ones susceptibility to injury even at lower doses. For Nicotinamide, it may be toxic to the liver at doses exceeding 3 g/day for adults. I have found studies suggesting dosages up to 9 grams per day can be tolerated. However these studies have not exceeded several months to the best of my knowledge. For Nicotinamide Riboside we are still waiting for the pharmacological studies to be released. There are 3 and 2 have been completed as of this posting see link. It's generally believed that the cost is a built in barrier to approaching any toxic levels with (NR) anyway. At this point in time "no toxic levels" have ever been established. There are 2 immediate benefits following the assimilation of (NR) activating 2 main sirtuins, SIRT1 and SIRT3. This isn't the case with nicotinic acid (NA) or Nicotinamide (Nam). Also if we examine the expression tissue maps we find a reason for Charles Brenner Phd's statement; "because current data suggests that nicotinamide riboside may be the only vitamin precursor that supports neuronal NAD+ synthesis" When considering how remote our mitochondria are from the nerve cell nucleus along the length of our axons and dendrites we can see why (NR) might be advantageous. We also see a considerable amount of Mitochondrial movement in nerve cells to preserve their survival. "Live imaging of mitochondria has transformed our understanding of these organelles from static lumps afloat in a cytoplasmic soup to animated actors that slide and fuse and divide." You'll remember I recently posted an article about NAD+ and SIRT3 control microtubule dynamics. After watching the video above I think the importance of maintaining your cellular highways becomes apparent and SIRT3 plays a roll. The recent Washington University School of Medicine study also demonstrated they could prevent axons from dying with Nicotinamide Riboside. However before that Mount Sinai School of Medicine, New York demonstrated they could restore cognition in Alzheimer's mouse models. Again the data is accumulating in regard to suplimenting this tissue and maintaining your microtubules. Now I'm not suggesting that NR is mutually exclusive in these rolls but it is highly suited to this particular roll and its SIRT3 activation makes it one of the strongest contenders. So as we weigh the data and look at at our options Niacin is three steps away from NAD. GPR109A is the receptor that causes the flushing and it's thought that this cell signaling receptor brings the associated lipid lowering effects. http://stm.sciencema.../4/148/148ra115 NA becomes NaMN, then must be converted to NAAD before becoming NAD. Nam must be converted to NMN before becoming NAD. NR must be converted to NMN before becoming NAD. However it enters the cycle thru nicotinamide riboside kinase 1 or 2 or along both of them depending on which tissue we are talking about. In addition (NR) is not dependent on our falling levels of NAMPT as is NAM. Also if a cell is not particularly suited to NR it can be cleaved into NAM and take the Urh1 and Pnp1, paths which split NR into Nam. As we have already established NAMPT levels drop with age. "The declined in NAMPT protein level and possibly its enzymatic activity in aged brain may be responsible for gradual neuronal loss" http://journals.plos.org/plosone/article?id=10.1371/journal.pone.0044933 This article discusses the brain but we can also focus on other tissues exhibiting the same age related behavior such as human vascular smooth muscle cells. http://www.jbc.org/content/282/15/10841.full The point is NAMPT is a systematically declining among all tissues and with it our ability to recycle NAM in the NAD cycle. We've also recently reviewed all of the NAD consuming enzymes which putt a great demand on our NAD pool. With several channels available to NAD can we afford to rely on just one? Edited by Bryan_S, 03 August 2015 - 07:07 PM. I wonder if those "time-release niacin" studies were really "niacinamide acting as time-release niacin" studies. Severe liver damage has occurred when switching to a long-acting form of Niacin, such as NIASPAN, from immediate-release Niacin. The hepatotoxicity seen from sustained-release Niacin are sometimes seen at rather modest dosing levels compared to, say, Niacinamide, where damage only occurs at high doses. Liver damage tends to result in elevated liver enzymes. Since these are easy to test for, a lot of doctors have confused elevated enzymes (particularly ALT) with liver damage itself. Niacin DOES tend to elevate liver enzymes, but the elevation is transient. People like Hoffer advised stopping Niacin for a few days before blood tests, as the liver enzymes would drop to normal. A lot of people suspect elevated ALT may somehow be involved with the clearance of Niacin from the body. Damage can occur with high doses (4.5-6 g/day or more) from regular Niacin as well--but even then it is rare. This hasn't been well-studied, because there aren't many cases. I would guess that the damage results from taking multiple doses across the day, so that blood serum levels really never clear. Thanks for all that--a great summary and great links. One thing that seems clear is that we could probably all do ourselves a favor by taking steps to raise NAMPT. Offhand, NAMPT seems to be raised by exercise and calorie restriction/fasting. Know any other ways of amping up NAMPT? Yes thumbs up to those methods and some new methods right now sound down right dangerous. At this point there isn't anything I'd want to put in my body. There has been talk of some exercise mimics, I think while I'm still able I'll move around as much as possible the old fashion way. A drug target has been identified called AMPK http://www.ncbi.nlm....pubmed/23918774 I read an article in 2014 " Regulation of Peripheral Molecular Clocks in Mammalian Tissues and In Vitro Skeletal Muscle Activation of AMP-Activated Protein Kinase via AICAR" AICAR might be the answer but it is to early to say. 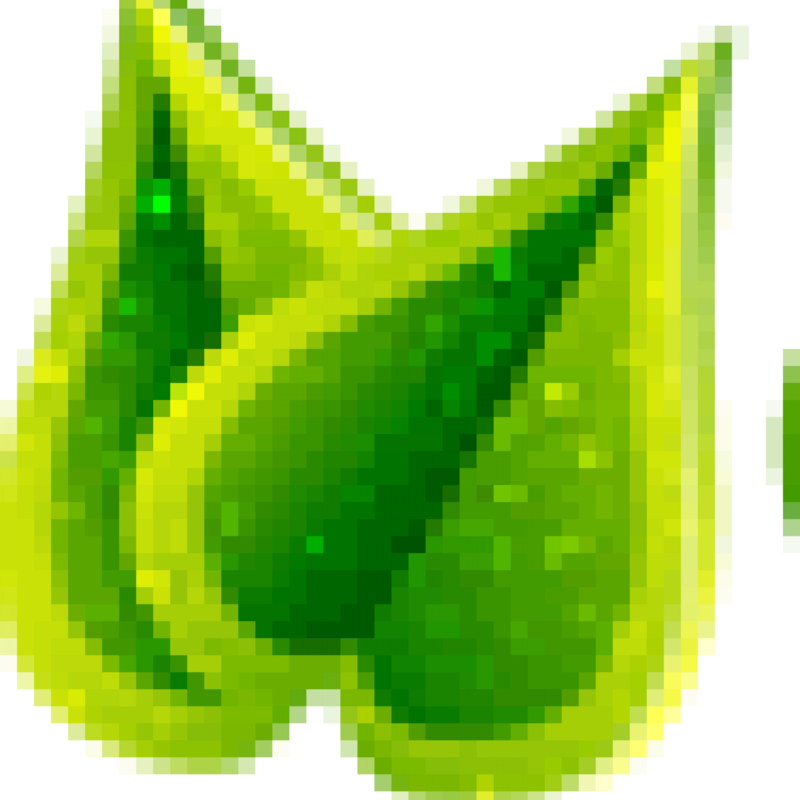 You can look up AICAR AMPK and NAMPT and it will turn up a hand full of studies suggesting a path. I think for now the ("Sirtuin activators" Search term) hold promise for raising NAD levels thru their activation and there are some emerging plant polyphenols that appear to work. Edited by Bryan_S, 04 August 2015 - 01:21 AM. We report that activation of hepatic AMPK by metformin induces increased expression of NAMPT mRNA and protein, and consequent increased NAD+/NADH ratio and SIRT1 activity, leading to the inhibition of TORC2-mediated gluconeogenesis. Edited by timbur, 04 August 2015 - 09:39 PM. "Nicotinamide is a water-soluble amide form of niacin (nicotinic acid or vitamin B3). Both niacin and nicotinamide are widely available in plant and animal foods, and niacin can also be endogenously synthesized in the liver from dietary tryptophan. Nicotinamide is also commercially available in vitamin supplements and in a range of cosmetic, hair, and skin preparations. Nicotinamide is the primary precursor of nicotinamide adenine dinucleotide (NAD+), an essential coenzyme in ATP production and the sole substrate of the nuclear enzyme poly-ADP-ribose polymerase-1 (PARP-1). Numerous in vitro and in vivo studies have clearly shown that PARP-1 and NAD+ status influence cellular responses to genotoxicity which can lead to mutagenesis and cancer formation. This paper will examine the role of nicotinamide in the protection from carcinogenesis, DNA repair, and maintenance of genomic stability." The evidence is pretty substantial. The above study surfaced today on a general Nicotinamide search filtered for developments reaching the google search engine over the last week but we can see this text originated in 2010. From this text one can imply boosting NAD with any of the precursors should help elicit genomic stability and repair. However I don't think any studies of this magnitude have surfaced supporting the other NAD precursors in this regard. Edited by Bryan_S, 05 August 2015 - 06:50 PM. @ Bryan_S: That was a positively outstanding reply! While (slowly) digesting it all, I do have a question regarding your point that "current data suggests that nicotinamide riboside may be the only vitamin precursor that supports neuronal NAD+ synthesis". This sounds exciting, but if this is actually true, then why would niacin intake be inversely associated with the rate of cognitive decline, as Turnbuckle pointed out a while ago? It seems to me that either (1) niacin is only indirectly supporting cognitive health or (2) NR is not, in fact, unique in this regard. Unfortunately, I don't have access to the study, but perhaps you're able to read it yourself. Given the dearth of effective therapies for dementia reversal, this would seem to be as important as NR's purported effects in cancer. @ BigLabRat: Thanks indeed for the clarification about toxicity with actual niacin. That's quite counterintuitive, and frankly, you might have saved my liver from what I would otherwise have assumed to be healthy. It IS counterintuitive, isn't it? But I've come to believe that the current medical model of Constant High Serum Levels of anything is probably flawed. In the natural state, our bodies do almost everything in tides or surges, from rest to nutrient intake to exercise. I think constancy is unnatural...and possibly an enemy. With my supplements, I don't take things every day. And, in my exercise, I take days off. I must be a little dense today as I'm not entirely hearing the question but I'll give it a go. The study results you linked to are positive for Niacin as I would have anticipated. "Conclusion: Dietary niacin may protect against AD and age related cognitive decline." I also made the statement "Now I'm not suggesting that NR is mutually exclusive in these rolls but it is highly suited to this particular roll and its SIRT3 activation makes it one of the strongest contenders." Its also my belief that since nicotinamide riboside kinases, Nrk1 and Nrk2 is highly conserved in our genome, we produce and export extracellular NR for use in other parts of our bodies or we wouldn't need them. I think these pathways have been conserved for those cells that are not as well suited to the other precursors or for tissues that have high respiratory requirements. (Cardiac tissue comes to mind) In this overall scenario we have a massive support system across all cell lines "in vivo." The nerve cells in particular have a fascinating team of supporting actors tending to their needs called "glial cells." I would like to study more on these guys in particular. I can also dig up countless studies pointing to the ischemia protection connected to raising NAD levels across all "three" of the afore mentioned precursors. So to your point as "unique" I'd agree all 3 precursors participate but as to which is better suited thats where we have to differentiate the 3 precursors on a tissue by tissue basis and their side benefits or inhibitory effects. Hope that answered your question, know that I'm a fan of all three precursors and actively take 2 of them. I'd likely take Niacin but have a skin condition that precludes that. Also to the cancer point, I think all the precursors in raising NAD levels would produce statistically significant cancer prevention results, "if tested." With Niacin or Nicotinic Acid we have to consider the side effects. In considering whether you can get a group of people to continue to stick to a particular treatment the side effects weigh heavily. We are basically talking about fueling our cellular maintenance and we know these processes all involve NAD consuming enzymes and their demand is rather expensive from a cellular standpoint when we look at the overall picture. We also have to consider the benefits afforded by raising NAD levels only remain with a subject while they are on the NAD boosting regiment. These benefits are soon lost after discontinuation. Without question his topic is rather broad with many factors to consider. Currently we have no studies making a true distinction between each of them in affording cancer protection. As to which is best we'll need more data but I suspect again we'd have to examine this on a tissue by tissue basis and look at their side benefits and or inhibitory effects. I talked a little about capacity for each path earlier. As you guys have eluded I also don't believe in a static state, the same is true in processing and assimilating or NAD precursors. I also believe we can overload each of these paths beyond a certain point and there are cytotoxic factors to consider as well. The basic result of which means we will be flushing our money away because of each precursors half life and we do not want to damage any tissues in the process. Thats the reality of water soluble nutrients that we do not store. So I believe we have rate limited assimilation factors to consider when attempting to increase our cellular NAD pool. I think ways to increase this assimilation capacity is a worthy topic. Tip of the hat to APBT for locating that video. Edited by Bryan_S, 06 August 2015 - 08:14 PM. So, this might be a sign of the long-hoped-for price drop, and hopefully it will begin to spread to all vendors. Or it might be a sign that they are overstocked, thought sales would be higher, and want to unload some inventory before it gets too old. As a customer of theirs, I also have gotten that telemarketing offer from them, more than once, the last time in May, which I did purchase. This is a bit off topic, so if you need to discuss further with me, PM me. Yes, my question was regarding uniqueness, and I believe you answered it well. Granted, it's an open question at this point as to the extent to which it might synergize with niacin or nicotinamide to thwart cognitive decline. Frankly I'm not optimistic because it's such a multifactorial disease, inasmuch as energy deficits are a critical component. Unfortunately, as we all know, NR is vastly more expensive than either niacin or nicotinamide. Particularly in light of the video above, it makes me wonder whether nicotinamide is actually the best way to go for nonbillionaires, in the sense of providing steady NAD+ with neither a flush reaction nor the toxicity of chronic dosing associated with niacin. In other words, we could take much more nicotinamide than NR at the same price, so perhaps we could compensate somewhat for its enzymatic rate limitation by simply dosing more frequently. In theory, coadministering supplements which reduce liver enzyme leakage (such as Longvida) might allow us to safely reach higher plasma levels than are currently possible, thereby further raising NAD+ without having to go bankrupt on NR. Edited by resveratrol_guy, 08 August 2015 - 12:50 AM. Any idea how to get that pricing? On their site it doesn't show anything nearly that good. It was a telemarketing pitch because I had already made a multi-bottle purchase. (And, yes, I took advantage of it and bought a dozen bottles.) You will definitely not find it on their website. The fact that Timbur had the same experience suggests it might be either a trend, or a new business model. It might seem like this is off-topic, and if it is I apologize. But a 40-50% drop in NR retail prices strikes me as news. Guys could you take your vender conversations to this venders thread? I for one find this offer suspect, 40 or 50% off, which is it? Many of you have brought these kinds of offers to threads not associated with LCR like the our HPN group buy thread. If you don't want to discuss it on their thread then take it to http://www.longecity...-and-discussion This is where we decide if something is legit or not. "In addition, boosting the NAD+ level not only activates Sirtuins and, especially, mitochondrial Sirtuin 3 , but also induces mitonuclear protein imbalances and activates UPRmt . Importantly, these authors revealed that, in mice and C. elegans, in time-course experiments, treatments with nicotinamide riboside (NR), a NAD+ precursor led to a protective response in a two-step process. First, during the early phase response (one day of treatment), the UPRmt was activated, with the associated increase in ClpP and HSP6 expression. Then, after three days of treatment with NAD+ booster/NR, with the UPRmt markers still overexpressed, an antioxidant response was also triggered, as demonstrated by enhanced activation of the promoter of the gene encoding SOD3 and nuclear localization of the transcription factor daf-16 (FOXO3A orthologue in mammals). Interestingly, it appears that both pathways might be interconnected; the induction of Extracellular superoxide dismutase [Cu/Zn] (SOD3) was dependent on UBL-5, a transcriptional regulator activated during the UPRmt . " This is part of a Special Issue "Mitochondrial Dysfunction in Ageing and Diseases"
The mitochondrial unfolded protein response is a conserved stress response pathway with implications in health and disease. "Mitochondrial unfolded protein response in aging A gradual decrease of mitochondrial function occurs during aging, as demonstrated by numerous studies using simple organisms as well as mammalian models (Pulliam et al., 2012). Indeed, a global RNAi screen in C. elegans identified that genes important for mitochondrial function stand out as the most important in affecting the duration of lifespan (Lee et al., 2003). Furthermore, mutations of mitochondrial ETC components in various organisms, such as yeast, C. elegans, Drosophila melanogaster and mouse were shown to increase their lifespan (Copeland et al., 2009; Dell’Agnello et al., 2007; Dillin et al., 2002; Feng et al., 2001; Lapointe et al., 2009; Liu et al., 2005). Interestingly, the lifespan of C. elegans can only be improved if ETC inhibition occurs no later than during the L3/L4 larval stage of development (Dillin et al., 2002), when massive mitochondrial proliferation takes place (Tsang and Lemire, 2002). This suggested existence of a regulatory system, which inspects mitochondrial activity early in life and through an adaptive response, establishes the rate of aging, which persists during the whole life, presumably through epigenetic changes (Dillin et al., 2002). It has recently been shown that knockdown of complex IV component cco-1 only during larval development triggers UPRmt, which is maintained into adulthood and is associated with longevity (Durieux et al., 2011). This effect is tissue specific, based on findings that inhibition of ETC specifically in intestine or neurons, but not in muscle, is sufficient to increase longevity in a UPRmt-dependent fashion, as evidenced by the requirement for the UPRmt component UBL-5. Interestingly, ETC impairment in neurons can activate UPRmt in the worm intestine, which suggests the existence of a released extracellular ‘mitokine’, which can migrate from the producing cell type and activate UPRmt in distant receiving tissues (Durieux et al., 2011). The neuronally produced mitokine can spread the adaptive stress response to other tissues, preparing the entire worm against the harmful insult. . . . While these outstanding issues are being addressed, we should not forget that this pathway could provide therapeutic opportunities that may help us to manage some of the most pervasive diseases that are associated with aging, such as metabolic diseases, cancer and neurodegenerative diseases. Drawing parallels with the beneficial impact of UPRmt in C. elegans, targeting this pathway via nutritional and/or pharmaceutical approaches could hence also improve health and lifespan in higher organisms and eventually help to manage some of the common age-related diseases." Do we need any more reasons to boost our NAD? Activating our UPRmt looks to be the Holy Grail. This is why I believe targeting the summit of our energy production and cellular respiration can have so many downstream health benefits. Edited by Bryan_S, 08 August 2015 - 05:04 PM. "Our lab had been gathering evidence that NNMT not only functions to clear nicotinamide from the liver, but is also involved in the regulation of liver metabolism," said Pissios. "We confirmed this in our new study, which found that N1-methylnicotinamide, the product of nicotinamide methylation by NNMT, increases Sirt1 protein levels and improves metabolism." 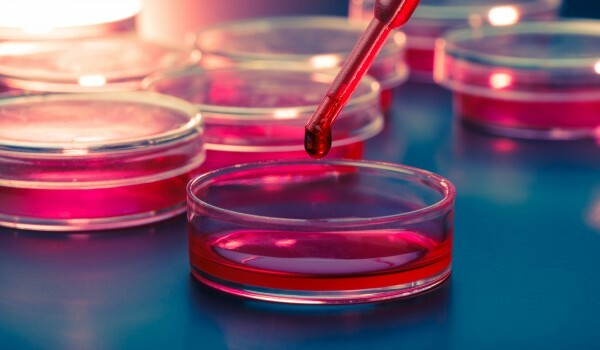 In subsequent experiments, Pissios and colleagues found that NNMT correlated positively with Sirt1 and a healthy metabolic profile in mice, and also showed that humans with low cholesterol and low triglycerides exhibited high levels of NNMT and Sirt1 in their livers. "Since N1-methylnicotinamide is a small molecule, we were able to feed it directly to mice to find out if it would prevent the metabolic complications caused by a high-fat diet," said Pissios. As predicted, N1-methylnicotinamide increased liver Sirt1 protein and suppressed triglyceride and cholesterol synthesis resulting in a healthier liver—with fewer inflammatory markers, less liver fat and lower cholesterol compared to control groups. "We have now identified a new vitamin B3 pathway that regulates liver metabolism and provides us with an opportunity to pursue development of novel treatments for metabolic diseases," said Pissios. Edited by Bryan_S, 08 August 2015 - 05:42 PM. I found no safety issues, so I take 1,500 mg twice a day. Enduramide is a pharmaceutial-grade sustained-release niacinamide that is being used in a study of Alzheimer's patients at UC Irvine. This human study was initiated after niacinamide resolved the mouse version of Alzheimer's and returned the mice's memory. Since niacinamide only lasts about 90 minutes in the body, a true sustained-release version is a best option for people that don't want to take it every 90 minutes. I also take high-dose NR. Is there a reason not to take both?